Throughout the world’s history salt has been taxed exorbitantly, wars have been fought for control of salt, and it has been used as a medium of exchange EQUAL to gold. Dare we ignore something that so valuable it even overshadows the Texas oil industry? In fact, in desert areas all over the world, the people are well aware of it lifesaving value. In such environments, wars are likely to break out over salt mining rights just as easily as gold or oil. Throughout history a civilization was considered as good as dead if it did not have sufficient salt for curing and preserving of meats. Having access to a good salt lick was also critical to attract sufficient game for hunting. Salt is also critical for treating leather, stabilizing dyes, and to mine silver. (Boy does that put salt in its proper place of pecking order or what?) In fact, salt mining is the backbone of several of the long roads we now have in our country. Yet in the American culture, we’ve missed a bit of education when it comes to embracing salt for our commerce and our bodies. In order for your body to prevent dehydration it NEEDS salt. In fact, most persons should consume a ½ teaspoon of salt per day in order to maintain bodily functions. When the body becomes dehydrated and thus increases that amount of water it needs to hold in reserves, it can only do so IF salt is available. During dehydration, the body seeks salt which is why you may get strong cravings for salt foods. Salt is also critical to the proper operation of our blood, nerves, muscles, digestive, and our lymphatic systems. 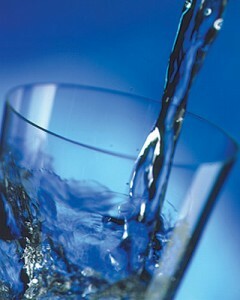 Water, salt and potassium together regulate the water content of the body. The salt and potassium are required in order to hold the water in the cells. It also balances the amount of water that’s held outside of the cells as well. The problem though is that our diet contains plenty of potassium resources, but not salt. Thus it needs to be added into our diet. And may I also suggest not adding in anything that’s labeled as “salt.” There is a big difference between the highly processed stuff, and real sea salt. A stark white salt like most of us are accustomed to seeing is such because it has undergone a bleaching process. It also gets “refined” and I don’t mean that in a good way. It’s mixed with some anti-caking agents and with some iodine added back in—no where near what it originally contained, but at least now they can label the salt as containing iodine, right? 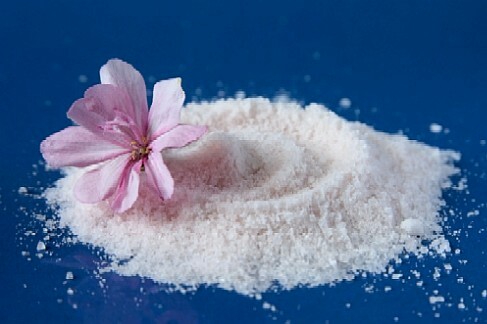 Whereas beautifully raw sea salt will have flecks of color in it as a result of the minerals that are still present. Additionally, you don’t have to use as much sea salt to satisfy your cravings and body functions as you would need to use of the processed stuff. I’m also a big fan of not spending hard-earned money on real food only to season it with processed garbage. In an emergency, salt can be used to stave off an asthma attack. Drink a glass of water and then put a pinch of salt on the tongue. It can be as effective as an inhaler but without any toxic side affects. A bit of salt on the tongue can also help stop persistent dry coughs. Salt is also a strong anti-stress element for the body—yet another reason why folks crave salty foods when they are stressed. An excess of acidity in the brain is blamed for bringing on Alzheimer’s disease. Maintaining a balance of quality salt in your diet will definitely help. Were you aware that Lithium is a salt substitute that is used to treat depression and emotional disorders? A balanced diet with appropriate salt can prevent one from needing such chemical intervention. Salt is also critical to the production of appropriate levels of serotonin and melatonin levels in the brain. Water and salt together are critical for a healthy “coping mechanism” and sleep patterns. Salt is also vital to balancing sugar levels in the body. So consider being conscientious of its use now as well as if you are a person battling diabetes. Some folks mistakenly believe that salt creates water retention. Here are the facts. While extra salt in our body will retain extra water in the tissues, it only does so when there is insufficient hydration in the body. In other words, regular water intake balances all fluid retention in your body. Thus enabling any excess salt in your body will be passed in your urine. I find it kind of amazing personally to note that our bodies need two different kinds of water--salted and unsalted water in order to be properly balanced. Isn’t it neat to notice that the earth has these two kinds of water sources as well? If you’re going to plan on having a reserve of salt to get you through a year, you will want a minimum of 5 pounds of salt, per person and that’s simply for consumption. That does not include pickling, preserving, cooking, etc. In fact, I just increased my salt reserves recently after watching a fish be cooked in a salt dome. The fish turned out super tender and was flavored beautifully, not salty. I just had to try it. Although it required about 3 cups of salt, it is well worth the cooking technique. Salt has also been a proven asset for a wide variety of medical care, curing of meats, sanitation, and as a vital asset to any community. All told, I would actually recommend more like 25 pounds of quality salt, per person, per year. The nice thing is salt has got a very, very long shelf life. And if you purchase it with the minerals intact then you won’t need to worry about bacteria developing since bacteria cannot survive among minerals. I encourage you all to be mindful of this overlooked commodity. Remember, I earnestly place salt as one of the vital four items you must have in your pantry—wheat, powdered milk, honey, and SALT. It’s not just for food, it’s for survival. I was not aware of all that salt could do for you. You got me started on the RealSalt. I haven't used "Table Salt" in over a year I went to Kosher salt a while back and really liked it. Nice to see salt not treated as evil, but treated as a postive thing. You constantly amaze me with things I never knew - it is no wonder that this is my favorite prepper web site, and I have shared many of your articles with friends and relatives. Keep up the good work! I have used the Himalayan Sea salt for several years now. For taste alone I would never go back to a processed table salt. It is quite expensive compared to processed salt, but nowhere near the cost, ounce for ounce, of gold. My mom lives in Utah and uses the "Real Salt" sea salt processed there. I have used it, but consistently get a sandy grit in it that is quite disgusting to my enjoyment of the food it is used on. "The nice thing is salt has got a very, very long shelf life. And if you purchase it with the minerals intact then you won’t need to worry about bacteria developing since bacteria cannot survive among minerals." The salt itself inhibits bacteria growth, with or without the minerals. This isn't even an issue. Very few bacteria can live in an environment with a high concentration of salt...that's why we can preserve meat with it! The same is true of a high sugar environment. Unfortunately that's not entirely accurate. I'm sure you've heard the saying "salt has lost its savor" Salt does have a very long shelf life. And it does have anti-bacterial effects in and of itself. However, it does not have an indefinite shelf life and as you said "very few bacteria can live" in salt. However, those viruses and bacteria that CAN survive in salt are still too many for me which is why I prefer to have mineralized salt. It's simply not a food for vermin or bacteria and even some viruses when it's in a mineralized state. Just be mindful of that when preserving. Salt does lose it's efficacy over long periods of time when it has been processed. Unless you live near salt, my guess is that months after TSHTF, salt will be universally unavailable. In that case, is there a reasonable substitute? Celery has sodium in it. but, I don't think, that's enough. It has to be NaCl, or will something else do? Also, I've been looking for articles talking of future food shortages (not quality of food) in America and have been unable to find any. Can you give me some links? Thank you for all you do. "m" There is absolutely no substitute for salt, period. I've authored a couple of articles on food shortages in the future. Simple do a search on food shortage on our blog site. There are links on those articles as well. So, if salt will be unavailable, does it make sense to salt all your foods as you can, freeze, dehydrate, etc them and is that always possible.? You should salt your foods a bit for flavor and preservation purposes anyway. But I'll tell ya now, if the salt disappears, you're in DEEP doo doo. A society cannot exist without it in some form or another. That's why it used to be used as currency. Kellene, what salt would you suggest we store, not for table use, but for pickling, canning, and salting food for smoking, etc. Will regular pickling salt be ok? Sue, the REAL Salt can be used for those things as well. And as mentioned above, the Himalayan Salt can too. (I have all different textures of the REAL Salt such as Kosher, Sea Salt, Seasoned REAL Salt, etc.) Keep in mind that they didn't have all of those differentiations back when pickling and canning and smoking began. Just one kind.